A few days back, Amazon India has announced that the Nokia 6, one of the comeback and finest devices from Nokia has received 1 million registrations on the e-commerce platform. The priced has set at Rs. 14,999. Registrations of Nokia 6 have begun on July 14 and the device will go on sale from August 23. This is the fourth device from Nokia to go on sale in India. At the MWC 2017, Nokia had announced four devices, Nokia 3, Nokia 5, Nokia 6 and the iconic Nokia 3310. Except Nokia 6, other three devices are available offline in India, the Nokia 6 is an Amazon Exclusive and will not be available offline. 16MP primary camera, 8MP secondary camera, and a 3,000mAh battery. The device comes with stock Android 7.1.1 Nougat. HMD global has also confirmed that the company will receive an update to Android O. “Indian customers are evidently excited about the new era of Nokia smartphones on Android and have welcomed the brand with open arms. 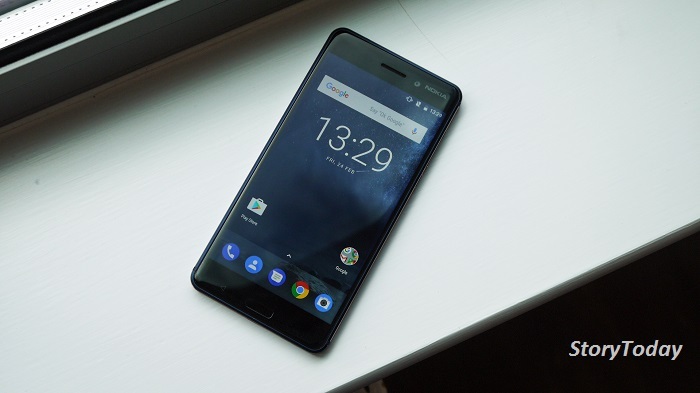 Nokia 6 has witnessed enormous interest from its fans since the registrations opened on 14 July. The subscription growth is expected to intensify closer to the sale date of 23rd August 2017.” Amazon India said in a statement. If you’re satisfied with the specification of Nokia 6 and you wish to buy Nokia and have not yet registered for the device, click here to register now. 1- Rs. 1000 cash back for Amazon prime members buying the device using Amazon Pay Balance. 2- Rs. 2,500 discount on makemytrip.com (Rs. 1,800 off on hotels and Rs. 700 off on domestic flights). 3- 80% discount on Kindle eBooks (Maximum 300). 4- Vodafone users get 9GB additional 4G data per month for 5 months on recharging with 1GB data or more.